Praise יהוהfor sharing his light today on the Unfolding Light. This weeks broadcast has been made available for dial-in access. 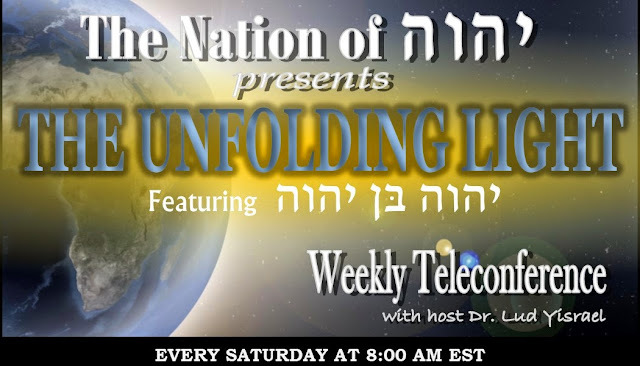 To listen by telephone please dial 1-712-432-3131 and enter Recording ID: 30209338 when prompted for it. Listen online.